When the 3D scanner is made available, it will help those with little or no experience be able to use the 3D replicator. Examples could include scanning a part of a kids toy train track and then printing out spares to make the track larger. Of course, complex objects such as electronics are not printable just yet, but in time, we’ll come closer to being able to print many of the items we use regularly. Pricing or a release date haven’t been provided yet, but we expect to hear more in the coming months about the 3D scanner. 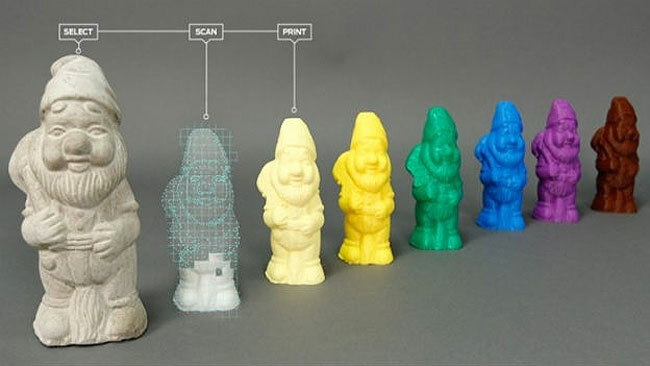 One thing to mention is that 3D scanners are not new… but where MakerBot differs is pricing. The company aims to make high end technology that is designed for business be made available in the home.